Project Update: Almost 7 years after application, this Roadware 10 Minute Concrete Mender™ and MatchCrete™ Clear repair still looks good. 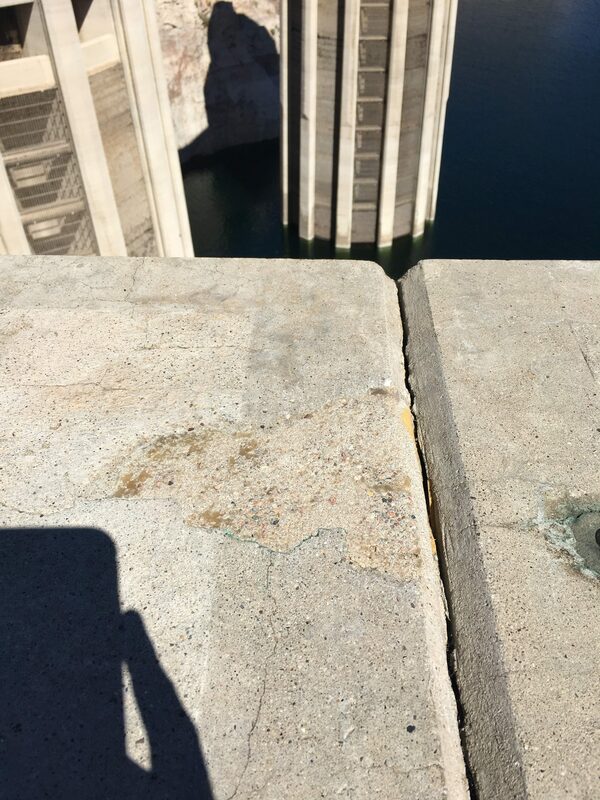 Concrete repair with Roadware MatchCrete Cleat and Concrete Mender at Hoover Dam almost 7 years after application. Use Roadware 10 Minute Concrete Mender and MatchCrete™ Clear to make decorative and color matching repairs. 1) Top of dam shows various cracks. 2) Damage is built up with Roadware 10 Minute Concrete Mender. 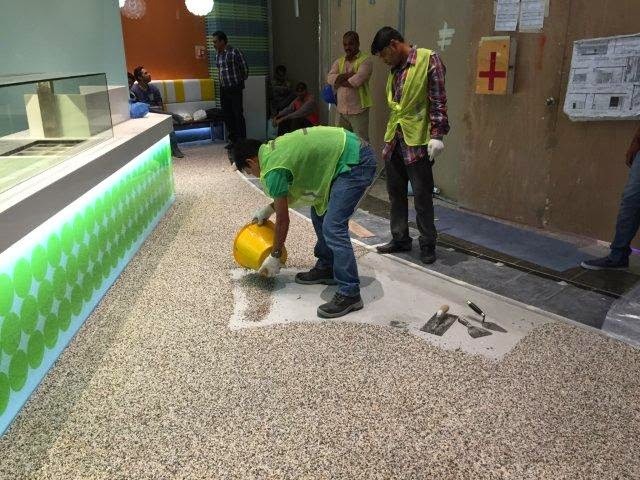 3) A top layer of MatchCrete™ and matching brown silica sand is applied. 4) Structurally bonded and blended well with surrounding concrete. Special thanks to Randy Sisson and Minitman Supply Colorado for sending this in. 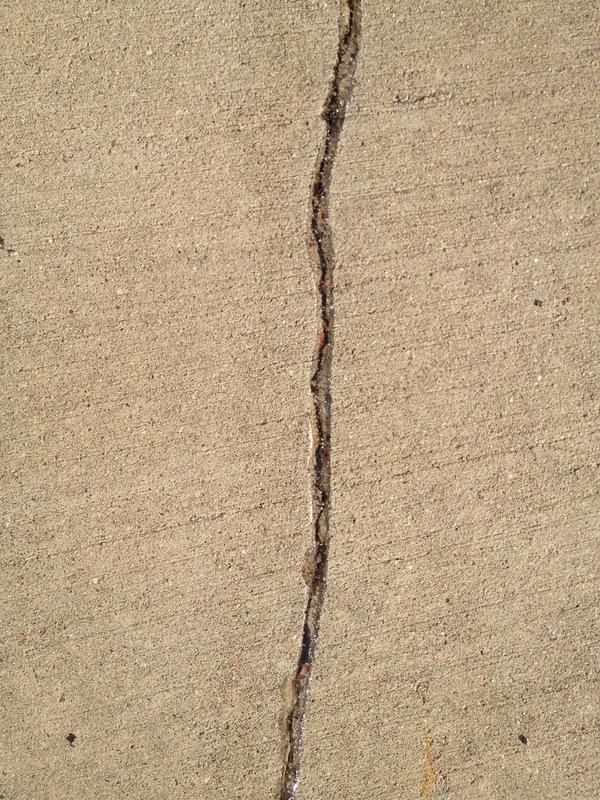 One of the most common calls we get is asking how to repair a crack in a driveway or patio. We designed Roadware MatchCrete™ Clear with this in mind. Roadware MatchCrete™ Clear is a UV stable clear polyurethane hybrid that makes effective repairs to most exterior concrete surfaces. 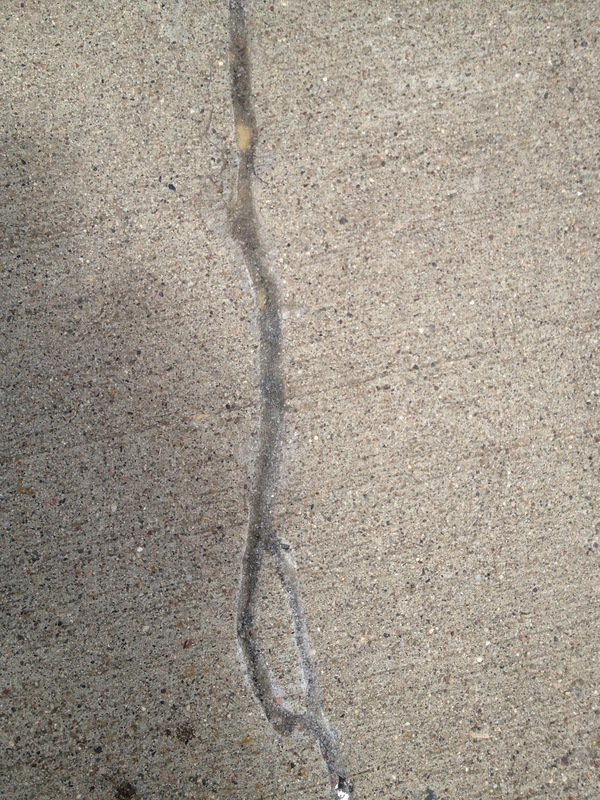 By simply leaving the repair clear, the color of the surrounding concrete shows throughout the repair. The first step to a good looking crack repair is to rout-out or cut the repair open with a diamond blade grinder. You only have to go about 1/4″ x 1/4″. This will create a recess for the material to rest as it soaks down further into the crack. Skipping this step will allow the material to flow uncontrollably on the surface and will create a messy looking repair. Apply cartridge mixed MatchCrete™ Clear directly to the crack. 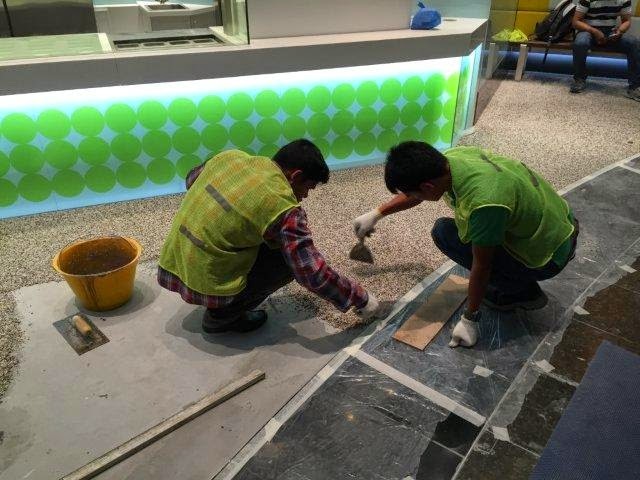 Small amounts of silica or quartz sand can be added to keep the material from flowing out the bottom of the slab. 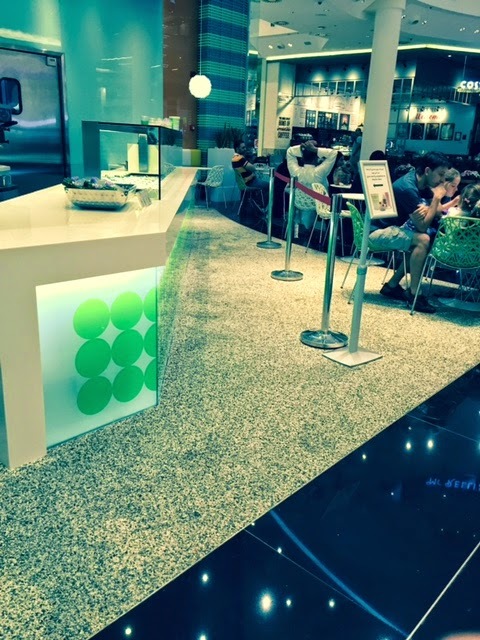 If necessary, matching colored sand can be used to match colored concrete areas. 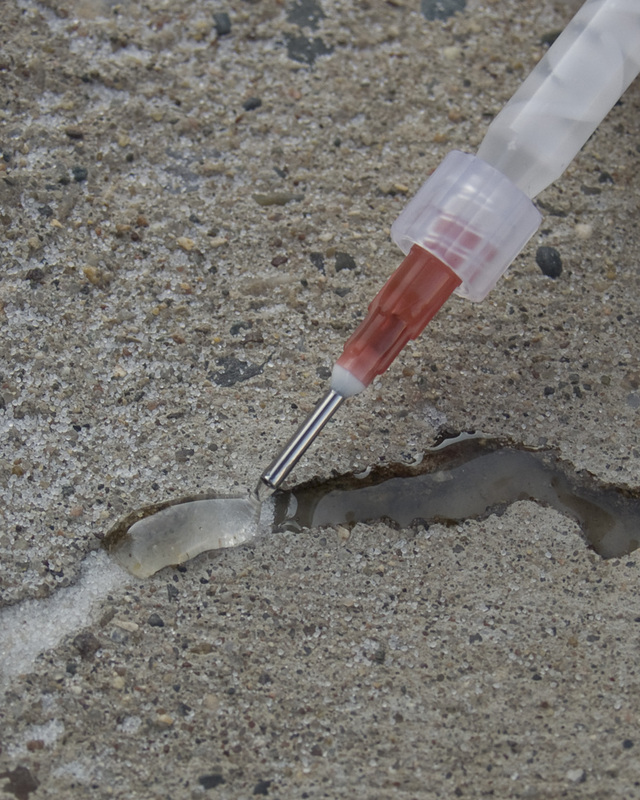 Fill the crack to slightly below grade to prevent material from flowing on to the surface of the concrete. After a year of service, the repair above still looks good. 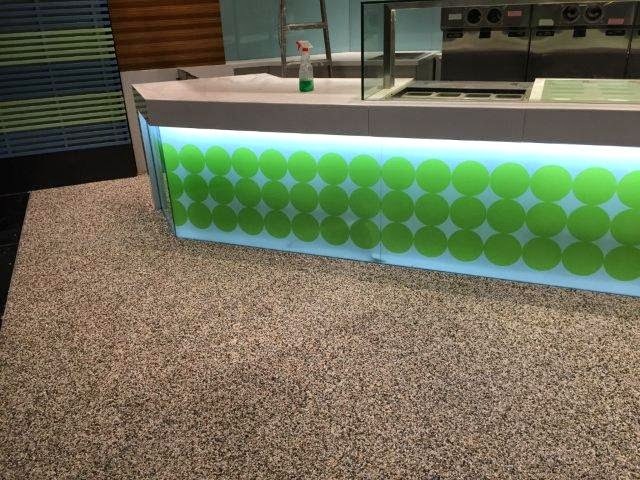 Please note, MatchCrete™ Clear is not a soft expansion joint material and should not be used in joints that are designed to move. Always give careful consideration as to why the concrete cracked in the first place and what the concrete is expected to do in the future before making repairs of this nature.